ALL WEATHER ANALYSIS – "Dont Gamble ………… Invest"
The market proved as good a guide as any yesterday and I think the same will be the case today. I have found one that I feel may go well at a price. RACE SUMMARY : There looks to be plenty of early speed here with at least four confirmed front-runners in the line up. Alfie Solomons in stall 11 and Obryn Martell stall 10 looking the best drawn. With the likes of Chapeli, Jacks Point and Yousini all drawn low also liking to race prominent there should be a decent gallop which looks likely to play in to the hands of Moyassar and Don Armado. The latter looked one to follow last season when winning a Goodwood Nursery back in August. He finished a length in front of Alfie Solomons that day and meets the same rival on 2lbs better terms with both wins coming on good to firm. 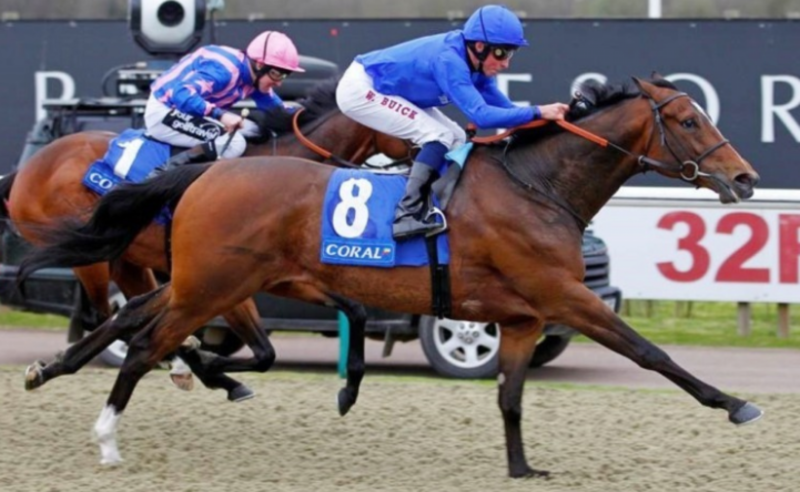 His final run of 2018 was possibly his strongest effort, although finishing fifth it was in Group 3 Company behind the well thought of and easy John Gosden winner Kessaar, the now 104 rated True Mason, yesterday’s Listed winner Shine So Bright and recent Nottingham winner Garrus who has now been rated 105. Yousini looks likely to improve as a three-year old but maybe over further although there does look plenty of speed on her dam’s side and was unbeaten on good to firm as a juvenile. Chapelli may well have needed her come back run at Pontefract and does bring some decent form with her although the proximity of some much lesser rated runners is a slight concern, that added to the fact I am still reluctant to back the fillies at this time of year. Moyassar may well improve as a three-year old but does need to on juvenile form. His sire improved to be a Group 1 winner. Breath Of Air also brings some strong form to the race, with his run at Newbury in September looking possibly the strongest form on offer. He beat 2000 Guineas entry Mohaather who won his next three races including two Group 3 contests and now 114 rated. Breath Of Air was beaten next time by now 105 and 102 rated runners but finished in front of the above mentioned Garrus. A no bet race for me but BRANDO looks difficult to oppose have won this race for the last two years on the back of similar breaks and is 4 from 4 when returning from 150+ days break. CD winner GIFTED MASTER looks the obvious alternative. Too close to call for me but I will be playing at very small stakes on MOMKIN mainly to place. A brilliant days racing and a taste of what is to come later in the season. RACE SUMMARY : Impossible to see past Defoe here, 3 from 3 at the track, twice returning from a decent break, twice on soft ground and won this race last year. He went on last season to win in Group 2 Company with his only defeats since 2016 coming in Group 1 Company. Young Rascal who carries a 3lbs (2 lengths) penalty improved no end last year with his only defeat coming in the Epsom Derby, winning here 3 times all at this level and also goes well fresh. The forecast looks pretty obvious and I would be surprised if any other runner can get involved. The one I have played for third in a mixed tri-cast is Aspertar who looks best early in the season for a trainer whose top level runners have generally operated at a 28% strike rate and he may well outrun his odds. I have gone for So Perfect here, generally A O’Brien runners are best avoided early season especially with his UK runners but she was only beaten a combined total of just over a length in 2 Group 1 contests last season and she won on debut this time last year. This was a race Richard Hannon senior used to target with his early season three-year olds and it looks a similar story for Richard Hannon junior who fields 3 of the now 8 runners. I don’t think we will see any future stars coming out of today’s race and this looks best left to the stats. Silvestre De Sousa has a great record for R Hannon generally in lesser races but the thing that stands out to me is his 28.57% strike rate when riding for the trainer when he has multiple runners in a race. A cracking card at Chelmsford this evening but the winners won’t come easy. PACE VERDICT : Secret Art may get an uncontested lead and be able to dictate the speed from the front. has the talent but looks very unreliable. Nonios has won 3 times over CD latest off a 3lbs lower mark but that is negated by the Jockeys 5lbs Claim. D Hogan has recently won on this runner over today’s trip at Lingfield off a mark of 91 but he could only claim 3lbs that day, he races off 92 today but the jockey gets his full 5lbs so theoretically is 1lb well in albeit in a stronger race. RACE SUMMARY : Bosham looks the best drawn of those likely to go forward but the likes of Another Angel and Drakefell do have better early speed ratings so this could be a fierce battle for the early lead. Poyle Vinnie is very well handicapped having last won off a 15lbs higher mark but that was at Southwell just over two years ago. He has gone close several times over CD off higher marks than today with his latest being a CD second off 87 in a race with an average rating of 12lbs higher than today’s race. He is back down to his lowest mark since 2014, will be suited by the likely strong gallop but will need a lot of luck in running from stall 1. From 35 runs over CD Dynamo Walt is My Top Rated winning 7 and placed 7 times with 5 of those wins coming off higher marks than today and Paddy Mathers is 5 from 17 on this horse over CD. He too should be suited by a strong gallop but it is over 3 years since he has won returning from a longer break than 27 days. Although officially still above his last winning mark Zac Brown is actually 3lbs below his last AW winning mark which came here this time last year over 6f and he won over CD a year earlier off a 13lbs higher mark (9lbs taking in to account the jockeys claim). I have a sneaky suspicion though that this drop to 5 furlongs may be part of his cycle so will watch the market closely. As we move to the end of another AW season it is time once again for me to focus my attention on the Juveniles and Group Races on turf. As far as today goes a very tricky day and not one in which I intend to be getting too involved in. Southwell can be left to those with the inside edge as usual but Kempton offers up a very interesting if not difficult card. A interesting Juvenile race to start off the card. The Archie Watson trained Lady Kermit has attracted plenty of support which is not surprising considering he sent out he generally operates at around a 25% strike rate on the AW with his two-year olds on debut and unleashed another yesterday. Lady Kermit also looks the type on paper A January foal by Starspangledbanner who himself won over 5 furlongs on debut going on to be a Group 1 winner from 6-8 furlongs but all on turf. His Juvenile progeny have a very moderate 2 from 25 strike rate on the AW which is a slight concern as is stall 10. Over 5 furlongs at Kempton there is a very short run to the first turn and although I am certain the trainer will have her well rehearsed Lady Kermit can not afford to lose much ground from the stalls. She does have a few later entries but at such a short price I am happy to take her on. The one I will take her on with is Perfect Rose, a February foal looks the best on pedigree in my opinion by Group 1 winning sprinter Oasis Dream and although she is most probably a longer term project as the Sire’s progeny generally improve for the run they have still shown a decent 14.67% strike rate on debut during April/May. The trainer can get them ready as we know and shows a 4 from 10 record with his Juvenile debutantes over CD. I have taken a rather speculative punt on Baydar here dropping from a 0-95 last time out back in to a more suitable 0-80 Handicap. He had decent form last year running against the likes of Watersmeet. The drop back in trip will also suit as all of his winning form apart from an AW Maiden win over 8 furlongs is on Turf over 10 furlongs. I am slightly worried that this is a cycle race to get him ready for a turf campaign but he his back to his lowest ever mark and fits a few trainer profiles in that he has a 22.86% strike rate in AW handicaps with his top weights having 2 or 3 seasonal runs a 50% (6 from 12) placed strike rate when also dropped in class so at 20/1 I thought was worth a small interest especially at around 3/1 for 4 places. The first day of the Turf Flat season but I will be concentrating on a decent AW card at Kempton. RACE SUMMARY : A fascinating renewal that is made even more interesting by the presence of last years winner Fabricate taking on multiple winner and clear CD Top Rated Matterhorn. From stall 1 Matterhorn is likely to try and make the running which looks likely considering his early speed rating over this CD last time out is clear of the field. I generally ignore Lingfield and Chelmsford form when studying for this track except over this trip and 5 furlongs as they are run on the similarly sharp inner track. This is a big step up in Class considering the average rating last time out was 10lbs lower than today’s race, in saying that he could not have been any more impressive. Mootasdir has the Form/Class to win this and is my Last Time Out Top Rated for his win in a decent handicap at Wolverhampton off 105 to make it 5 from 5 on the AW when returning from a break of 157 days. He looks versatile regarding run style and does have the early speed to stay in touch. The form of his Dundalk Group 3 win looks strong with the second going on to win a Listed Race next time. Master Of The World and Big Country had no chance in the Winter Derby finishing behind Wissahickon but the proximity to Pactolus suggests it is the percentage call to discount them here. Fabricate won this last year when returning from a similar break and can not truly be discounted but I just think he has a little to find with Matterhorn on My Ratings. Victory Bond looked like he was having a prep run last time out at Wolverhampton when intentionally run wide. The booking of Richard Kingscote stands out to me that connections are expecting more today as he has only ridden 10 times on the AW for this yard, winning 5 of them. He returns to 10 furlongs a trip at which his AW record reads 1,2,2,1 but unfortunately those seconds were at Listed Level. Extra Elusive is interesting one for me. He is 1 from 1 on the AW winning very impressively here over 12 furlongs and he looks certain to be suited by a decent gallop as I expect him to tuck in just behind the early speed. The trainer employs the hood for the first time which appears to be a strategy the trainer utilizes well especially with his runners returning from a break who return a 46.67% strike rate. The market does look to have this spot on especially with Matterhorn drawn in stall 1 and Mootasdir now drawn just on his outer so I expect him and Victory Bond to to be pushed forward to sit just behind the leader with Big Country the pace enigma as he may well be pushed along from stall 8 to take on the leader as he is the only runner with early speed ratings to match Matterhorn and it is this that I am gambling on as this in my opinion will suit Extra Elusive which is where my money is going. A fairly quiet week punting wise as we build up to the forthcoming Turf Flat season. Today’s card at Lingfield looks a cracker if not very tricky. doing the same here. He is only 1lb higher today but remains relatively well handicapped still on some past form. A danger may be the CD Top Rated Dark Alliance who won a shade easily over CD in January 2018 admittedly in a weaker race but off only 3lbs lower and has won recently off a 1lb higher mark albeit on Tapeta in a Claiming Race. The Warrior is lurking back on a decent mark but would be better suited with a slightly stronger gallop than he may get today. Bin Daahir is a very interesting runner based on pedigree and losing form. His last race has produced 9 winners and 25 placed efforts with 4 of the runners now rated 80+ with the second placed that day now rated 94, his penultimate race also looks very strong again producing 9 future winners with the winner that day now rated 106 finishing third in Group 1 Company. My main worry is the sire’s progeny have a poor record over this CD and he may be being prepared for the turf. Golden Guest is another runner that is becoming well handicapped having gone close over CD off 72(69 including jockey’s claim), he races off 67 (60 including jockey’s claim) today with the very capable C Fallon taking the ride. I just have a sneaky suspicion connections may want a few more pounds off his back but a market watch is recommended. PACE VERDICT : Warriors Valley, Captain Lars and Drakefell look the obvious Early Speed runners and may contest the early lead so a decent gallop looks likely which may suit a runner coming from off the speed. RACE SUMMARY : Captain Lars and George Dryden are dangerously well handicapped with the latter possibly the most interesting if not for today. He is now 7lbs below his last win which was over CD back in February 2018. This is his second run after a wind operation so may just need this. The booking of Oisin Murphy for CD Top Rated Captain Lars catches the eye, he generally operates at a 25% strike rate for this yard and has 3 wins and another placed effort from 5 rides on this runner. 16:40 – Follow A Dream is a full sister to three Group Race winners including one at Group 1 and four at Group 2 Level. She cost $625,000 as a Yearling and will need to win this and win it well to justify that fee. Over at Newcastle there are a few I am interested in and have backed mainly in a few multiples. 17:55 – I have backed Up Ten Down Two who although not one for the mortgage at 8/1 I did think he was worth an interest. The ten-year old is 3 from 5 on Tapeta, 2 from 4 here including 1 over CD. He generally goes well after a decent break with a record of 3 from 4 on the back of a 90+ days break. 19:00 – Astonished looks a big price at 5/2 especially if you consider her sire’s 36 runners operate at a 44.44/63.89% Win/Place strike rate at the track and 10 from 6 over CD, 2 from 2 with his fillies. 19:30 – The form of Thaayer CD win last time out stands out here. He beat some decent rivals a shade cosily including the previous winner Matterhorn who has since won a further five races on the bounce and now rated 112. A further 5¼ lengths back in second was the John Gosden runner Holy Heart who has since won twice and finished second to become now rated 86. I am actually shocked and worried that Thaayer is available at odds against. As we approach the forthcoming Flat Turf season I generally become very more selective with my races on the All Weather. On a personal level I have found winners more difficult to come by at this stage of the season as many of the good All Weather races have already been run with those winners saved for finals day, that combined with the fact the many trainers use these late season All Weather races as merely warm up races for future Turf engagements. The only race that interests me today is the first race at Lingfield. Without doubt the most interesting runner is the well-bred Azets, by Dubawi out of a four times Listed Race (including over this CD) 107 Rated winning mare. Azets cost connections 300,000 Guineas as a yearling and was last seen 13 days ago when making eye-catching late progress on his AW debut at Kempton. Personally I have my doubts as to the strength of that form and if he was not just staying on past moderate beaten horses. There is no doubt he is bred to be useful and should really take all of the beating on Handicap debut in what looks a very moderate race, I am also sure that connections will be extremely disappointed if he is not better than a Rating of 69 but the fact that the Dam as only produced 1 winner coupled with Dubawi’s unprofitable record on polytrack I am happy to let him win at current odds. The one I like is the Hugo Palmer colt On The Line. Admittedly he is still a Maiden after 6 runs and cost current connections a fraction of Azets fee but I do have a few reasons to think he may go close today. This is his third run of the season and after wind surgery, he appears to be taking a step forward since and improved last time in the first time blinkers, the trainers runners generally operate at a 16.22% strike rate in the second time headgear. His last two runs appear to have been fitness runs, dropped back to 6 furlongs and then stepped back up to 7 furlongs last time out. He went close over this trip at Chelmsford when finishing third as a Juvenile in what looked a decent Novice Stakes with the first and second running with credit in Group Company since. James Doyle was riding him that day and gets back in the saddle for the first time since. The Jockey and Trainer have a decent strike rate together especially on the AW where they have operated at a profitable 34.33% strike rate in the last two seasons, that strike rate increases when narrowed down to three-year olds at which they have been operating at a very encouraging 41.38/65.52%. I am not sure where connections will go if he can not go close at this level but at 7/1 I personally believe he is worth chancing especially for me in the place market. Thought I would take a look at the final All Weather Championship Qualifier for 2019. The basic rules are as follows. 1. Either a horse must run a minimum of three times on the all-weather surfaces in Great Britain, Ireland or France (or twice on the all-weather surfaces in Britain, Ireland or France and once on the dirt at Meydan in Dubai). 2. Or a horse can win a specific Fast-Track Qualifier which will qualify for free and guaranteed entry into a specific race on finals day. Above The Rest. Top Rating 94.78, No CD Rating. Should be rated high enough to qualify. He clearly has the class to win this having won a Group 3 on Newcastle’s Tapeta surface. He should be suited by the likely strong gallop. Apex King. Top Rating 92.2, No CD Rating. Has already had the 3 qualifying runs but is only rated 86 so will not qualify unless winning this, in my opinion though, it would take a massive leap in form to even go close against this field. Arcanada. Top Rating 94.51, Top CD Rating 89.37. Should be qualified on Official Ratings and needs today’s run. He looks the most likely to go forward but looks better suited by an extra furlong so this looks a prep run for finals day. Cardsharp. Top Rating 85.26, No CD Rating. A very interesting runner has he should easily qualify on Official Ratings but is yet to run during the qualifying period so needs to win this in order to qualify for finals day. With only one run on the AW which was over a straight 6 furlongs at Newcastle it is interesting that Mark Johnston has pitched him in at this level especially over a distance that he has appeared to struggle at. He may well be on to go forward and contest the early speed. Documenting. Top Rating 95.69, Top CD Rating 93.11. One of only 2 CD winners in the field. Looks guaranteed a place on finals day already and looked impressive last time out winning a CD 0-95 with embarrassing ease although that field did look a great deal weaker than today’s. He should be suited by the likely strong gallop. Island Of Life. Top Rating 93.99, Top CD Rating 90.08. The only other CD winner in the field but also the only female in the race so receives 5lbs from the males. She is guaranteed a place in the Fillies And Mares race on finals day after winning a Fast Track Qualifier over CD. She should be suited by the likely strong gallop. Keystroke. Top Rating 96.74, Top CD Rating 93.37. Has a great record from his 3 runs at the track resulting in a second over CD in this race last year and 2 wins over 1½ miles. He has the best final pace rating in the field so will be suited by the likely strong gallop. Oh This Is Us. Top Rating 93.42, No CD Rating. The highest rated runner on Official Ratings and Racing Post Ratings and only needs to turn up today to guarantee a place on finals day. His form though does look a little suspect in my opinion. He beat inferior rivals last time out and the proximity of Apex King is a worry. He should be suited by the likely strong gallop but does look short enough to me. Conclusion: I am expecting this to be contested at a decent gallop with Cardsharp and Arcanada likely to cut across from their draws in 9 and 7 respectively. Oh This Is Us may be inconvenienced by Cardsharp so will need a deliberate move to pull him back in behind. Stall 1 is a worry for Above The Rest as he will need plenty of luck in running so that leaves it between Island Of Life and Keystroke. It is Keystroke that just shades it for me.